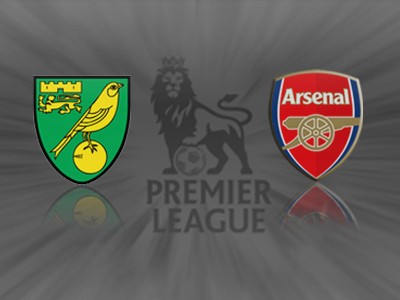 Arsenal will be looking to regain their some of their momentum after a disappointing draw against Fulham in the Premier League. 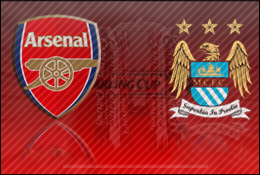 In saying this though it will not be an easy task for the gunners to beat a second string Manchester City side, as we all know Roberto Mancini has plenty of talent itching to get off the bench with the likes of Nasri, Dzeko and Kolo Toure ready to show their worth. As usual I would expect Arsene to employ some squad rotation, particularly after stating some players are showing signs of fatigue. In terms of offence I am expecting Van Persie and Walcott to be rested, particularly the latter when Wenger revealed he had a hamstring scare. Rotation up front will likely pave the way for young Oxlade-Chamberlain to continue his development and also allow the call-up of South Korean Chu-Young Park who has impressed on international duty. Arshavin may also start in place of Gervinho, although with the Ivorian acting as a substitute on the weekend he may end up starting. In terms of midfield there is a strong possibility of wholesale changes with Ramsey, Arteta and Song all playing effectively every game over recent weeks. Expect to see Rosicky, Benayoun and Frimpong to get their chance in the team. The mix of experience and youth should provide a strong foundation in midfield, provided Frimpong repeats his inspiring performance against Liverpool and restrains his temptations to go in to aggressively. The same should is likely to happen at the back, although Koscielny may be incorporated into the team after missing the clash against Fulham at the weekend. 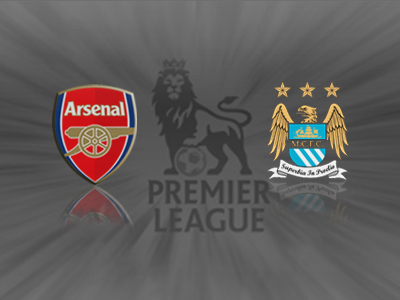 The game will prove to be a tough one for Arsenal’s rotated team, but hopefully they will show their strength and give Manchester City’s stars a run for their money! I believe that some players are on the fringe of being really limited. I will rest some players, but I still want to play a team that has a chance to win the game. Alex Oxlade-Chamberlain and Emmanuel Frimpong will play, but I consider them to be first-team players. Park is adapting to the level he is facing here and he has another opportunity against Manchester City tomorrow night to show that he can do it. However, despite a host of first team regulars being rested, on-loan Chelsea midfielder Yossi Benayoun is again set to be on the bench. Yossi has been absolutely fantastic, but we have so much choice in midfield and we play with three strikers. The chances for the midfielders are not so big and that is why he has not played as much as he deserves. The attitude of all the players that came in has been great, everybody helps focus the team to win and he does that as well. Arsenal – Alex Oxlade-Chamberlain – The young Englishman has been running riot for the England under-21 team, scoring a hat-trick last month. Hopefully the young Englishman can reproduce some of his form on international duty against better opposition. Manchester City – Adam Johnson – While the winger has often had to make due with warming the bench, when he does feature his ability to run at defenders often leads to dangerous situations. 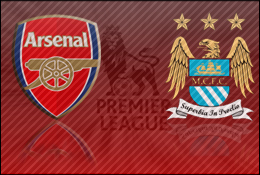 Expect the Englishman to try and impress Mancini and get in behind the Arsenal defence. After Wenger revealed that a few first team players are running in the red, expect a large amount of changes with the likes of experienced heads Benayoun and Rosicky providing leadership to youngsters and fringe players such as Frimpong and Chamberlain who are likely to be getting a call-up. Bet 365 are offering the best odds at 2/1. Skybet has the highest paying odds for Manchester City to win at 5/3. The Gunners have won many of their games this season whilst drawing at half-time. The match will be a tough test for the young Gunners side so it will a tight affair early on, however they should be able to finish off the job in the second half with the help of the home crowd and some young creative spark.